[Mat 7:25 NASB] 25 "And the rain fell, and the floods came, and the winds blew and slammed against that house; and yet it did not fall, for it had been founded on the rock. 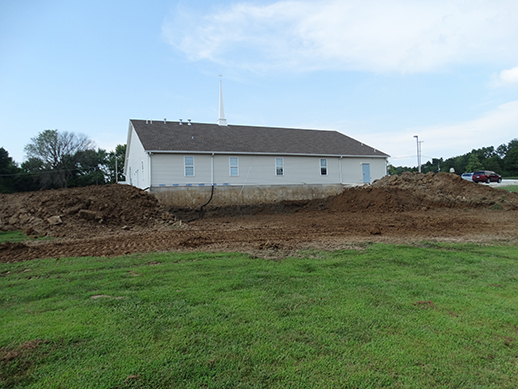 We have been truly blessed with the ability to expand our church home. Our new nursery, classrooms, and fellowship hall are expected to be completed March 2017!